(CN) – After several years of strong growth, the renewable energy market is showing signs of slowing down, as the United States revels in cheaper electricity from natural gas. And the slowdown is causing ripples of change across the nation, with some state utility commissions drastically cutting the contract lengths of green energy companies. 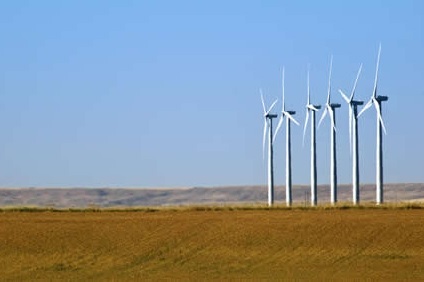 The Montana Public Service Commission slashed the price paid to renewable energy providers from $66 per megawatt hour to $31 and cut the contract length between renewable energy suppliers and the state’s main utility, Northwestern Energy, from 25 years to 15 years. Idaho has cut its contract lengths from 20 years to just 2 years. The Montana Public Service Commission’s decision resulted in a lawsuit filed late December by the Montana Environmental Education Center, Cypress Creek Renewables and Vote Solar against the commission and Northwestern Energy. 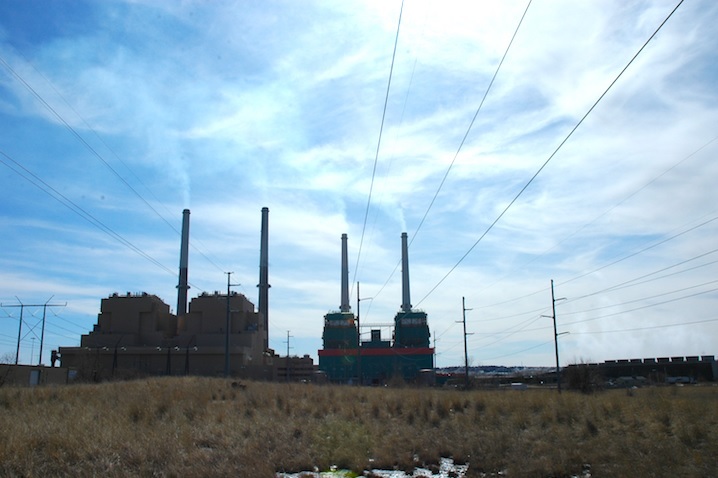 The suit claims the commission and Northwestern Energy violated federal regulations and Montana law, which requires the commission to establish long-term contract rates that are sufficient to enhance the economic feasibility of third-party power facilities. The commission defends its position by saying that shorter-term energy contracts are better for the Montana consumer, who should not foot the bill for green energy. “Out-of-state developers were perched at Montana’s borders, ready to rush in and take advantage of these inflated rates, reaping windfall profits at consumers’ expense,” Montana Public Service Commissioner Roger Koopman said in a statement. A 1978 federal law to increase U.S. renewable energy development is at the heart of the change that the energy sector is undergoing. Congress passed the Public Utility Regulatory Policies Act (PURPA) in 1978 as part of the National Energy Act. PURPA was meant to diversify the U.S. fossil fuel energy portfolio with renewable energy, increase clean power development, and to promote energy conservation during a time when there was a genuine energy shortage. Brian Fadie, clean energy program director for plaintiff Montana Environmental Information Center, said monopoly utilities see third-party energy developers “as threats to their monopolies and profit margins, so they have been fighting against the PURPA law in states across the country,” notably in North Carolina and Idaho, where renewables have taken a strong hold in those states’ power portfolio. PURPA is left mainly to state energy commissions to regulate the individual states’ power industries, which are often ruled by a single power monopoly. The state commissions also set rates for power purchased through the monopoly or through a qualifying facility such as a wind or solar farm. But after decades of growth in energy production, including electricity from natural gas harvested through fracking and rampant growth in renewable energy, the United States is awash in power. Prices for electricity from renewable energy sources have fallen dramatically in the last two years, as solar and wind projects have advanced technologically, allowing more energy to be produced for the same or less cost, Fadie said. Wind turbines are larger and solar panels have become more efficient at converting energy from the sun into electricity, Fadie said. Demand for solar and wind power has also increased, which brings more companies into the manufacturing side of the business. All of these factors bring down costs to produce the equipment used to make renewable energy. According to the U.S. Department of Energy, the development costs for wind projects since 2008 have decreased 41 percent, costs for large-scale solar projects have decreased 64 percent, and battery costs have fallen 73 percent. Meanwhile, wind and solar power accounted for over two-thirds of all new electricity generating capacity installed in the U.S. in 2015, according to the Department of Energy, and land-based wind power accounted for 41 percent of all new capacity brought online in the United States in 2015. Plus, utility-scale solar power generated enough electricity in 2015 to power more than 2 million homes and solar power represented 15 percent of all newly installed electricity generation capacity in 2015, according to the Department of Energy. Between 1976 and 2014, the department invested $2.4 billion in research for wind power. Now, new renewable energy projects are in decline. Installation of solar-energy power has fallen to its lowest level since 2015, according to a Solar Energy Industries Association’s report. In the third quarter of 2017, 2,031 megawatts of solar array panels were installed in the U.S., resulting in a 51 percent decrease from the previous year’s quarter, the market’s smallest quarter in two years. According to the Solar Energy Industries Association, in the first three quarters of 2017, solar energy represented 25 percent of all new electric generating capacity brought on-line in the nation – ranking second to natural gas. Some state’s energy contracts are being tweaked to the benefit of some renewable-energy projects. Michigan’s public service commission completed the state’s first update in 25 years of the way utilities compensate clean energy facilities. Montana commissioners don’t see it that way – at least for the near term. “It doesn’t matter whether it’s a gas plant owned by the utility, or a wind farm developed by an independent power producer, in today’s environment of surplus electricity, the commission is questioning the wisdom of locking consumers into excessively long supply arrangements across the board,” Montana PSC Chairman Brad Johnson said in a statement. The uncertainty that the federal PURPA regulations and state utility commissions create often hinders green power development, according to Dave Renne, president of the International Solar Energy Society. Meanwhile, the federal government on Wednesday announced the release of a draft environmental impact statement for a Montana coal mine’s 6,000-acre expansion and to extend the life of the Rosebud coal mine out to 19 years. The Rosebud coal mine annually supplies 7.7 million to 9.95 million tons of low-sulfur coal to the adjacent Colstrip Power Plant, plus another 300,000 tons annually to the Rosebud Power Plant. The plants burn coal to create steam and run turbines that generate electricity.